It's something Democrat Terry McAuliffe mentions frequently as he campaigns to convince voters that his business credentials could make him a Virginia chief executive in the mold of popular former Gov. Mark Warner, now a U.S. senator, but Republican opponent Ken Cuccinelli and his campaign have called McAuliffe's business dealings into question, accusing him of overstating his experience and success. They point to GreenTech Automotive, a start-up electric car maker in Horn Lake, Miss. McAuliffe was its chairman last July at a flashy ribbon-cutting complete with projections for 1,500 jobs and the ability to build a car a day. But McAuliffe stepped down as chairman late last year. Right now, the company has just 100 workers and a site for a second plant remains empty. But McAuliffe rejects the suggestion that he made promises he couldn't deliver and he says GreenTech is not a drag on his campaign. 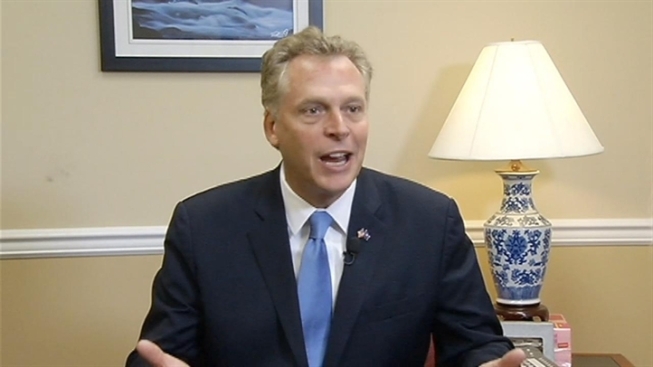 "I'm sorry, I don't view it as a drag, " said McAuliffe. "I'm an entrepreneur. Very few people have ever started a car company in the middle of a recession." McAuliffe said he's proud of the company so far and believes it will be a success. McAuliffe also said his ups and downs in business only bolster his skills to become governor. “That's what you want in a governor, someone who is out there every day. As Teddy Roosevelt said, 'You've got to be in the arena,’"
But in a statement, the Cuccinelli campaign challenges that, writing, "Time after time, Terry McAuliffe has not lived up to his promises and taken credit when no credit was due."